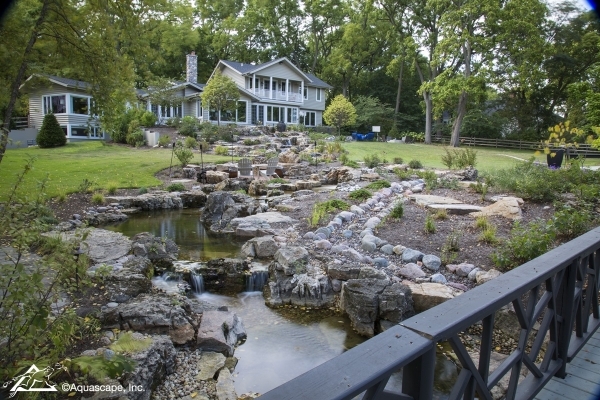 Sometimes people look at a large sloping lot in the backyard and consider it a challenge. It’s hard to set up a croquet set, or play a game of bags on it. Unless of course, you live in northern climes and can turn that slope into a decent sledding hill. 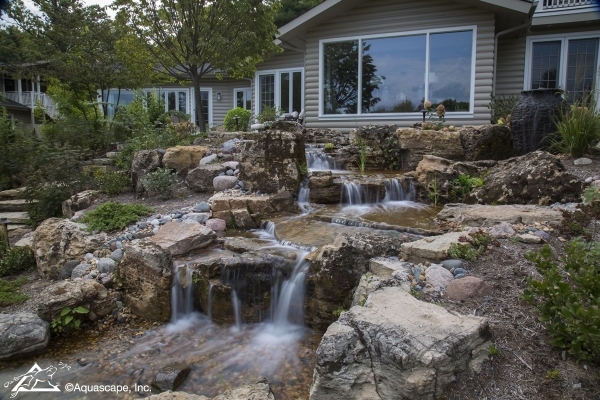 Even better though, is to transform a sloping yard into the ultimate backyard waterfall! A family recently planned a daughter’s wedding and decided to host it outdoors in their backyard. They called us to create a truly unique water feature that would provide an amazing backdrop for this memorable event. 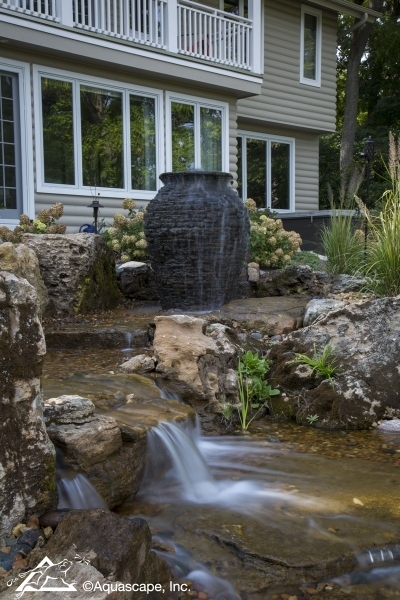 An Aquascape Stacked Slate Urn is positioned at the top of the waterfalls near the windows where it can be enjoyed up close from inside the home. 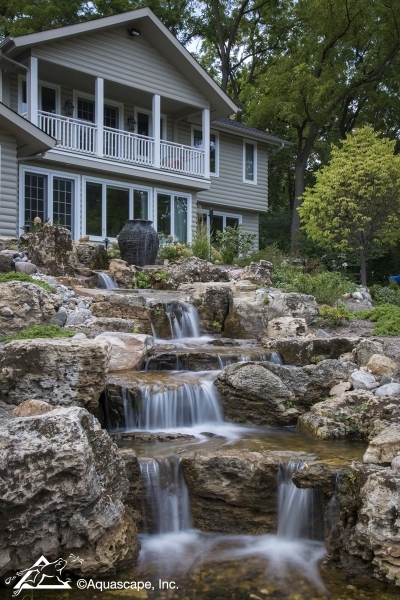 A double-deck porch provides ideal viewing of this amazing backyard waterfall that twists and turns through the yard. A wooden bridge located at the back of the property provides another unique viewing vantage point. 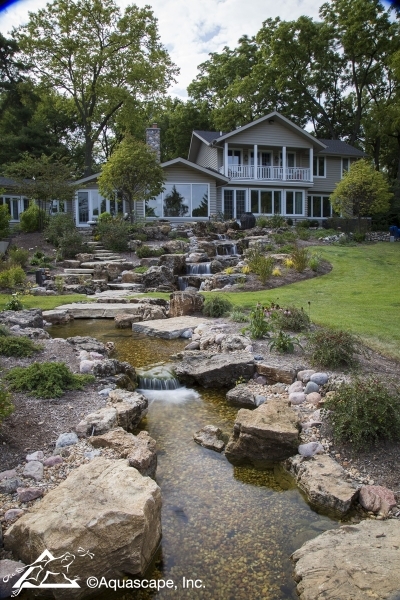 When a pond or backyard waterfall is built correctly, the water should be clean and clear. 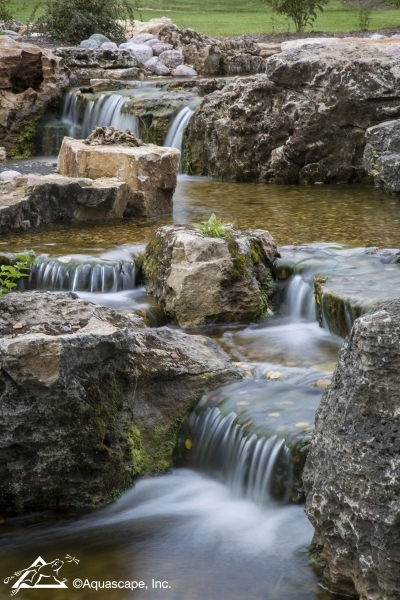 When water isn’t balanced, it can become brown or even green with excessive algae. Clear water lets you see the pretty pebbles at the bottom of the waterfall. 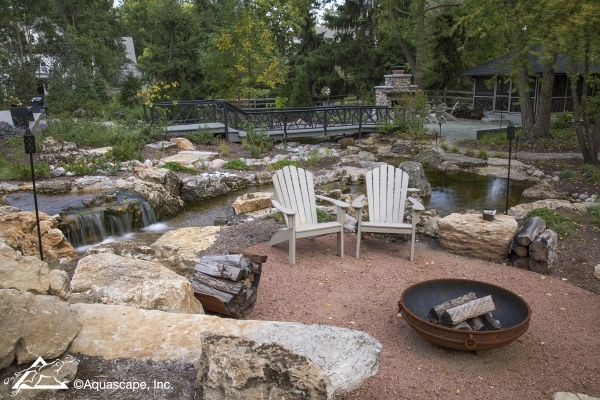 The homeowners enjoy a fire pit near the middle of the waterfall’s journey through the yard. Toward the back, you can see an outdoor fireplace with a screened-in gazebo nearby. 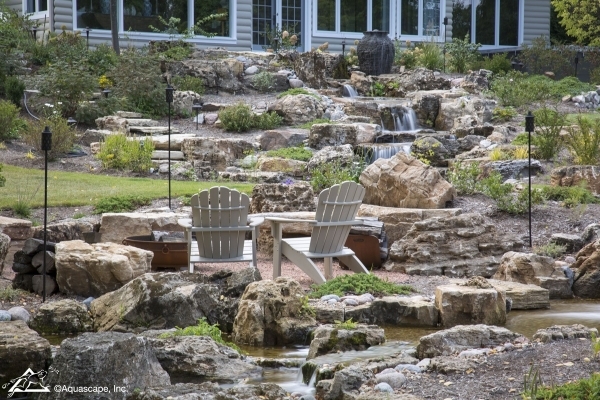 There are plenty of places to sit and relax to the tumbling sound of the waterfalls. A large picture window provides a place to pull up a chair and enjoy the scenery from inside. 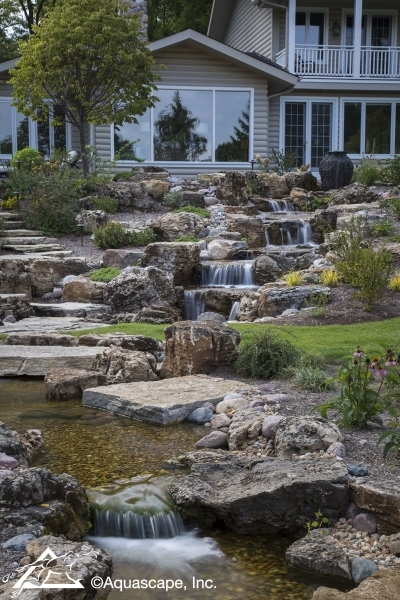 A stone stairway to the left of the waterfalls creates opportunity to explore the water feature up close. A close-up view shows the intricate details of rocks and their placement. You’d never guess this water feature is fairly new. It looks like it’s existed here for many, many years.